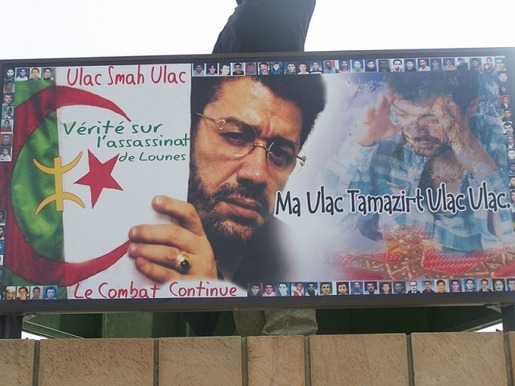 It's been said that in the Kabyle region of Algeria, "there is not a single cafe, restaurant or business that doesn't have a poster of Lounes Matoub" (Merzouk Allache, quoted in the San Francisco Chronicle, June 28 2008). Here's another image to give you an idea of how the Kabylie view Matoub. 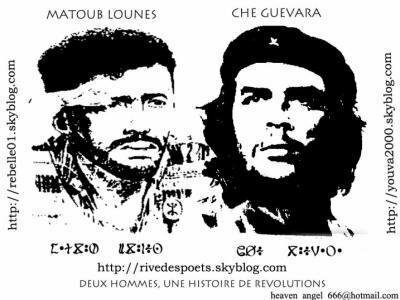 Today I Exist, Tomorrow I'm Not Sure | Lounes Matoub (Algeria) | unreleased?